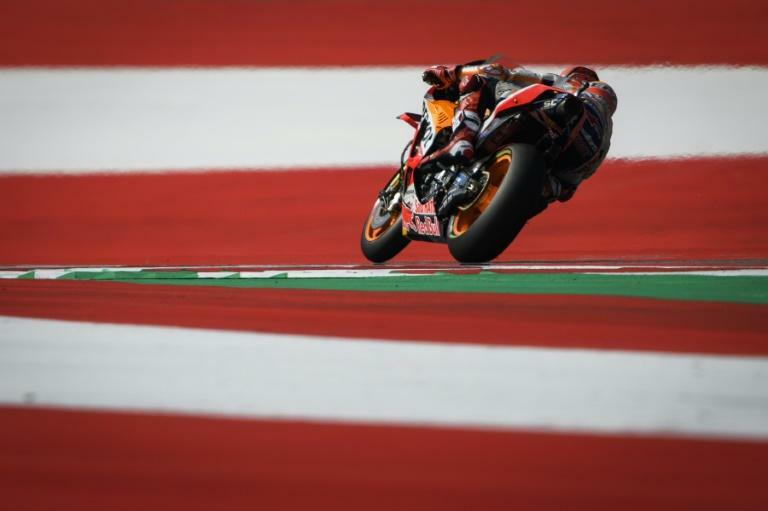 Marc Marquez rides into the British motorcycling Grand Prix this weekend on a two-race blip, but so dominant is the Spanish world champion that he still increased his lead in the MotoGP standings without winning. The Honda star had won five of the previous nine races before starting August by finishing third in the Czech Republic and second in Austria. Because his closest challenger, the veteran Italian Valentino Rossi (Yamaha), failed to make either podium, Marquez added 13 points to his lead. With eight races to go, Marquez is 59 points ahead of Rossi. 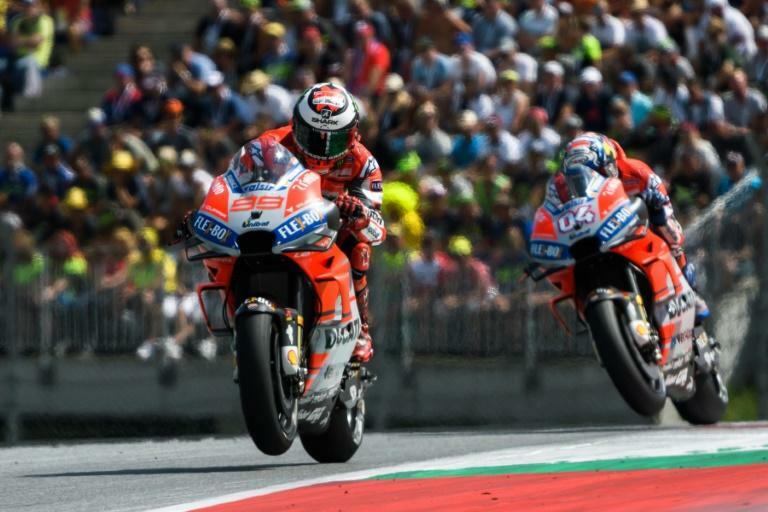 Jorge Lorenzo and Andrea Dovizioso, the two Ducati riders who took the other podium places in the last two races, are 12 and 13 points further back. Italian Dovizioso won at Silverstone last year but Spaniard Lorenzo might have the stronger form. Since the British circuit returned to the MotoGP calendar in 2010, the Spaniard has won at the famous circuit three times and he also won the last race this season in Austria, "which was surely the most difficult race of the season," he told the Ducati web site. Silverstone used to have a reputation as a bumpy track. "The track has been resurfaced, and that should be a good help in general for the performances," Marquez told his team's web site. "Silverstone is a fast, technical track." Rain played havoc with free practice and qualifying in Austria and more is forecast for Friday, which is free practice, and Sunday, the day of the race. Dovizioso was also preparing to race in the wet. "The British circuit is challenging for lots of reasons: tyre wear, energy required, the changeable weather conditions," he said. Rossi, who won in a downpour at Silverstone in 2015, has other things on his mind as Yamaha has struggled to keep up in recent races. "A difficult season, because I think Yamaha at this moment is not as competitive as Honda and Ducati," Rossi said in an interview with the official Motogp site. He blamed his team's failure to adapt to changes in the rules on electronic parts on the bike. "It was a big step in 2016, but in the middle of 2017 Honda and Ducati are able to come back at the same level and Yamaha wasn't able to do this step." "It's a long, long way from the end of the season and it is quite frustrating if we are not able to improve," he added. "For me, it's very important to understand if Yamaha wants to win, and not if Yamaha want to win but how much." Meanwhile Honda, who have already signed Lorenzo to their main team for next season, announced on Thursday that they had extended the contract of 32-year-old Briton Cal Crutchlow who is in eighth place in the standings riding for Honda LCR until 2020. The Moto2 season has turned into a thrilling two horse race with the runaway leaders Italian Francesco Bagnaia (Kalex) winning in Austria to retake the lead from Portuguese Miguel Oiveira (KTM) by three points. In Moto3, Marco Bezzecchi (KTM) won last time to give himself a 12-point cushion over Spaniard Jorge Martin (Honda), who was riding with a broken bone in his wrist.